Summertime brings swimming in the pool, splashing in the sprinkler and water gun fights to cool off! Here in Canada we are lucky enough to have seemingly unlimited supply of clean water, so it’s no wonder that we often take it for granted. To date, more than seven billion litres of clean drinking water have been provided by humanitarian organizations across the globe using P&G packets, helping to save an estimated 39,000 lives in more than 75 countries. This past spring, P&G and Walmart teamed up and committed to donating one day of clean water** for every P&G product purchased at Walmart or Walmart.ca during the month of April. During that month, Canadians rallied together and in the end, P&G donated 8.6 million days of clean water to the Children’s Safe Drinking Water Fund as part of its Clean Water initiative. Since May 1, more than 20 P&G products, including Tide, Pampers, Duracell, Dawn and Pantene have continued to generate a donation equivalent to one day of clean drinking water**. 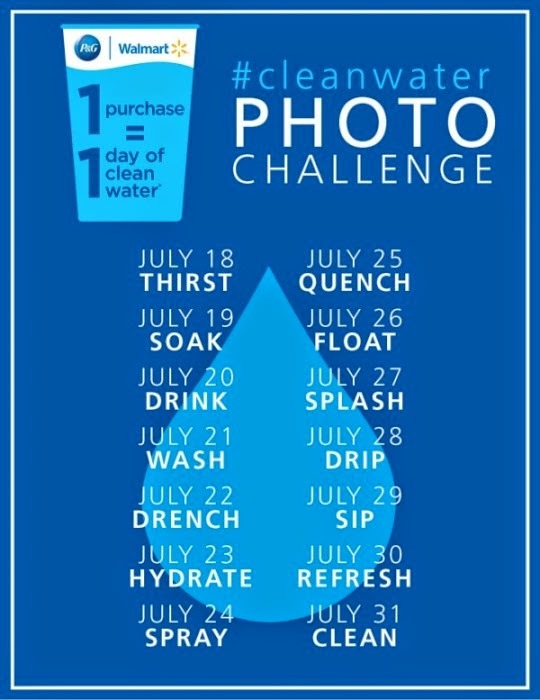 To help remind us just how lucky we are to live in this great country and to educate them on ways they can help provide clean water to those in need, we’ve developed the #cleanwater photo challenge! From July 18 through 31, P&G and Walmart want you to share photos of the role clean water plays in your life and the life of our family and friends. but it is never to late to join in!!! Using your preferred social photo sharing platform, follow the #cleanwater calendar below and post a photo inspired by the word of the day (ie. Day 1 – Hydrate). The photo could include clean water itself, or simply the impact water has (ie. a satisfied smile and wipe of the mouth after gulping clean water from a glass or a happy child after a dip in the lake). 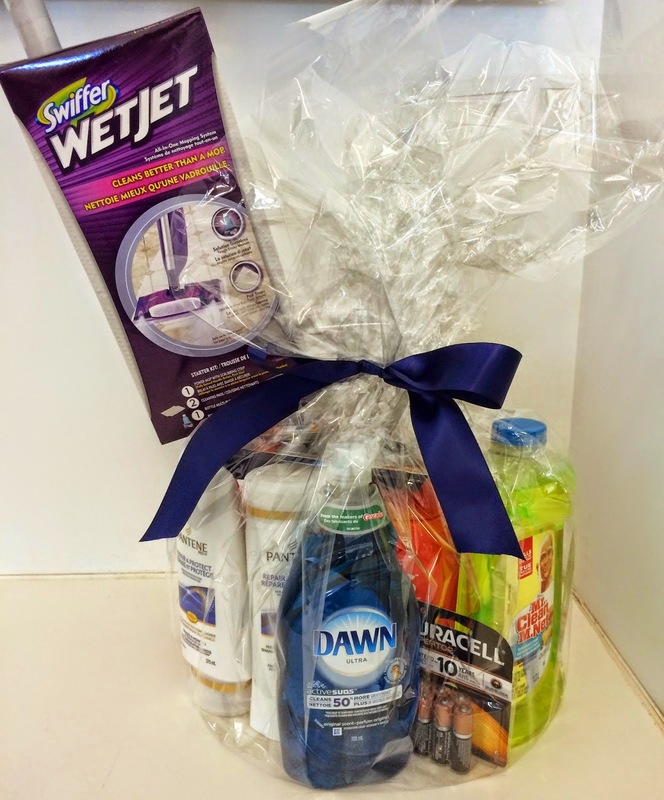 As you participate and share your photos, you will be entered into a draw for an amazing P&G Prize pack and a $250 Wal-Mart gift card. I am looking forward to seeing everyone's photos for the #CleanWater photo challenge. Just think you can take a picture and make a difference! I am a P&Gmom. As part of my affiliation with this group, I have been offered compensation to participate in the #cleanwater photo challenge. The views, opinions and photographs expressed on this blog and in my social networks are my own.